Implement the External Service feature in combination with flow. Use new Record Security features to keep lead and contact details private. Demonstrate the new customization options and troubleshooting techniques for Process Builder. Describe the features of Lightning Guided Engagement in Console. Use the rich text editor for mobile. Manage reports and dashboards with new folder sharing and subscription features. Hey Trailblazer, if you hold the Salesforce Certified Platform App Builder credential, keep in mind that you need to complete this module by December 14, 2018, to maintain your certification. Check out the deadlines here. You also need to link your Trailhead and Webassessor accounts by December 14, 2018, so we know you've maintained your credential(s). If you've already linked your accounts, you're all set. If you're not sure, follow these steps to check your account status and link your accounts. In the Webassessor Email field, enter your Webassessor email address and click Request. Check your inbox and follow the steps to link. Interested in learning more about getting certified? 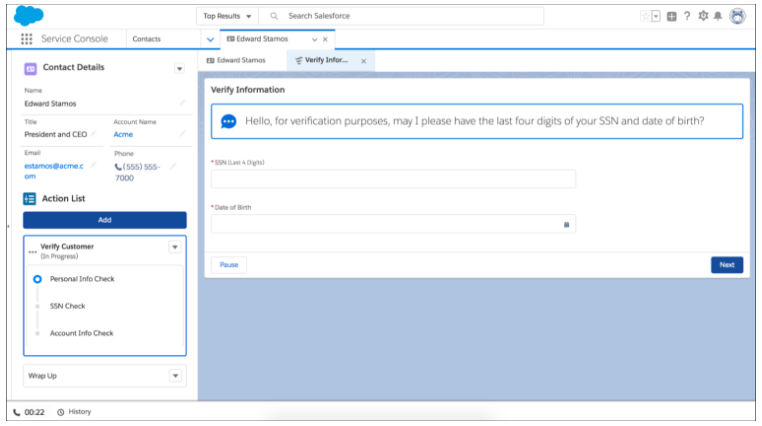 Check out the Salesforce Certified Platform App Builder credential. Salesforce has introduced a ton of great feature enhancements. Let’s take a look at some of the more important ones for the Summer ’18 release. Use External Services to connect to an outside service, invoke methods based on the external source via a flow, and import the service data into Salesforce. For example, you can connect to a credit service that determines if credit is extended to a Salesforce account. Want to know the payment terms? Use External Services. When the flow runs, the output contains the credit decision and, if applicable, the payment terms. External Services can also help you save time when you add users to an org. Say you want new users to automatically become collaborators for all external org-related applications. Create an external service and flow using inputs that you can define in your schema, such as a user ID. Then you add triggers in your flow. When a user is created, the trigger fires and adds the user as a collaborator to your other applications. Keep lead and contact details private, even when they’re added to campaigns. Let your marketing department see only the campaign member details that you want them to. Sharing rules for campaign members can inherit from lead and contact rules or from the campaign. To let users see only the campaign members whose lead or contact records they have access to, choose Controlled by Lead or Contact in Sharing Settings. To let users who have access to a campaign see campaign member details, choose Controlled by Campaign. Access that’s provided by a user’s role or profile supersedes the organization-wide defaults. Now find the org name and ID in error emails so you know which org to troubleshoot if you’re managing multiple orgs. When a process or a flow interview fails, the admin who last modified the associated process or flow gets an email about the error. The message now includes the org name and ID in the Flow Details section. 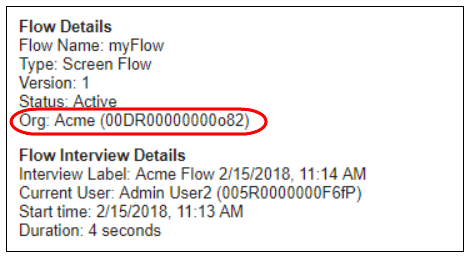 Four new debug log lines have been added to help you better troubleshoot issues with governor limits and bulkification in flows and processes. When you use debug logs to troubleshoot issues with a flow or process, keep your eye out for these events. Identifies usage against per-transaction governor limits by the element executed in bulk. Identifies when an element couldn’t be bulkified because the associated object doesn’t support bulk operations. Identifies usage against per-transaction governor limits by the flow element. Identifies usage against per-transaction governor limits when starting the flow interview and before executing flow elements. Guide agents through multi-step actions, such as call scripts, right inside the console. A list of ordered flows keep the process moving during agent handoffs—customers don’t have to repeat themselves because agents know exactly where to pick up. For folks using Live Agent chat, a new pinned region template lets your agents view the chat and list of flows at the same time. The best news is that all this awesomeness is configured with clicks, not code. The Guided Action List helps your agents provide consistent quality customer service across all your channels. Business processes, including stages for your flows, are displayed to your agents in a clear Action List. You can configure default flows for each channel, such as phone and chat, so that agents know how to handle cases on any customer touchpoint. You can also specify which flows agents should complete first and last with pinned flows. Your agents also have the flexibility to add flows based on your customer’s needs. Lightning Guided Engagement lets you present flows as primary tabs or subtabs in a console app, while the new RecordAction junction object associates records to flows using Salesforce automation tools. When a record that has an associated flow is opened, the flow is launched as a subtab. Use the Cloud Flow Designer to create the flow. Then use the Process Builder to add processes that associate records with the flow using the RecordAction junction object. 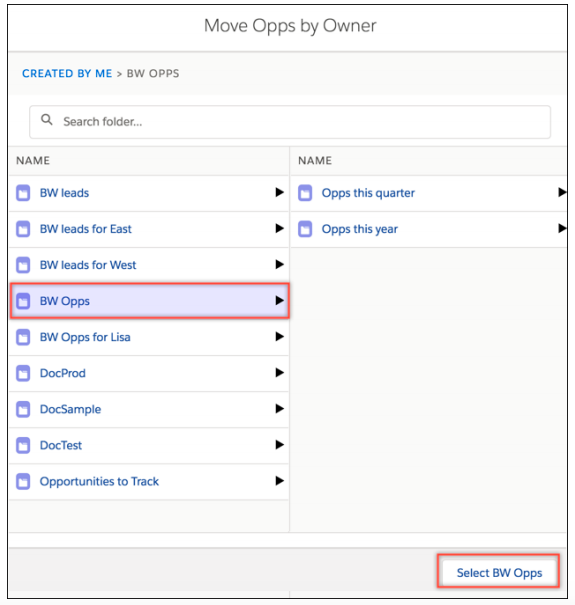 To display the flows to agents, add the Guided Action List component to pages using the Lightning App Builder. Get rich text in mobile. 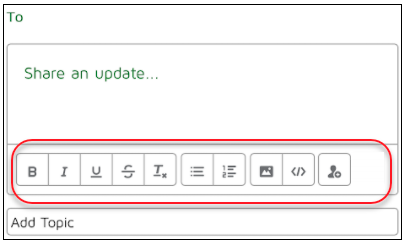 Rich text formatting is now fully supported in both the Chatter publisher and record detail pages for mobile. This aligns the mobile browser app even more fully across platforms. Now you get the same formatting, list making, and code snippet and inline image inserting across all platforms. Your mobile devices are closer than ever to giving you the full Salesforce experience on the go. Easily organize your reports and dashboards in Lightning Experience. You can now use subfolders to quickly create a logical structure for your report and dashboard folders. Organize by region, role, function, or whatever makes most sense to you. For example, suppose you’re responsible for creating reports for your customer service organization. You already have a Sales Reports folder that you’re sharing with Sales, so the sales reps can see what issues have come up. But the reps in each region only want to see the reports from customers in their own region. Simply create a subfolder for each region in the sales folder, and the reps in each region get to see only what they’re interested in. Creating a subfolder is just like creating a folder. Go into the report or dashboard folder where you want to create the subfolder, and click New Folder. Name the folder, and click Save. You can also rename and delete subfolders. Just keep in mind that all folders must be emptied before they’re deleted. If you want to delete a parent folder, you must delete all its subfolders first. Moving content between folders is also easier. You no longer have to open the report or dashboard just to change what folder or subfolder it’s in. Instead, simply select a row-level action for the report or dashboard. And if you have a report or dashboard in one folder, but want it to be in another, simply select Move from the row-level action menu on the Reports or Dashboards page. A select folder dialog box opens where you can navigate to the destination folder and save. Enhanced folder sharing must be enabled to use report and dashboard folders and subfolders. Subfolders can be created only in user-created folders. You can’t create a subfolder in your Private folder or the Public folder. Folder sharing is only at the root level. If you want to share a subfolder, you must share its root folder. Everyone can see who has access to a subfolder, but if you want to change sharing settings you must do that at the root level. You can now add dashboard subscriptions for others in Lightning Experience. Adding other people as subscribers is a perfect way to share updated dashboards on a regular schedule. Everyone you designate gets the same information and visuals at the same time every day, week, or month. On the Dashboards page, click next to the dashboard name, and select Subscribe. (You might need to scroll to the right to see the row-level action arrow.) Alternatively, you can open the dashboard and click Subscribe. After setting the subscription schedule, click Select People to add subscribers. You’re selected by default, but you can add others, and even remove yourself if needed. Others you add must have view access to the dashboard. Each person in your org can subscribe to up to 5 dashboards. You can subscribe to filtered dashboards, but dashboard filters are never applied to emailed dashboards. Dashboards that are configured to display data as The dashboard viewer under View Dashboard As settings in Dashboard Properties don’t support subscriptions. You can’t subscribe to them.